Just like you, we’re farmers first. Whatever we do to our farms, it must be good for the land, good for the crop, and good for the bottom line. Tegra is a US based company with operations in North America and Eastern Europe. Founded by Jon Schwab, a serial entrepreneur and experienced farmer, Jon realized it takes more than good farm equipment to be successful. 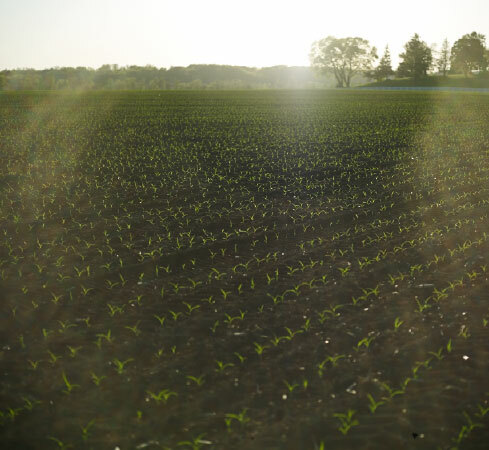 Driven by a need for Tegra’s own production ag needs, and with the ever continuing need to deliver more crop with less inputs, Tegra focuses on three key areas. Tegra Farms utilizes the latest technology, equipment and knowledge from around the globe in production agriculture. With a primary focus on row crops, there are more than 7500 acres directly under Tegra management with a focus on irrigated land. Tegra Grow captures the benefit of the biological world by making available in Eastern Europe the rapidly growing biological products that are becoming mainstream in today’s agriculture setting. Tegra Grow acquired Imperial Agro in 2015, which pioneered soybean biological inoculants in Eastern Europe back in the 90’s. Today Tegra Grow continues to be a leading supplier of biological products and knowledge base in Eastern Europe. Tegra Water jumps ahead to the next generation in water irrigation methods and management. Tegra Water’s focus is on the ideal end game, which we believe to be sub surface drip irrigation (SDI). Having successfully installed the first SDI system in Ukraine, we continue to develop affordable and highly automated SDI systems. In addition we focus on efficiency upgrades to existing drip and pivot irrigation systems. We provide farmers simple solutions to complex agricultural challenges, which reduce seasonal variables and risk, resulting in increased year to year consistency and profitability. We're always looking for energetic, motivated individuals to join our fast paced and growing team.